Protect your bunker silo investment! Acids produced by silage during the normal fermentation process can significantly erode and crack the concrete walls of your bunker silo in just a few years. 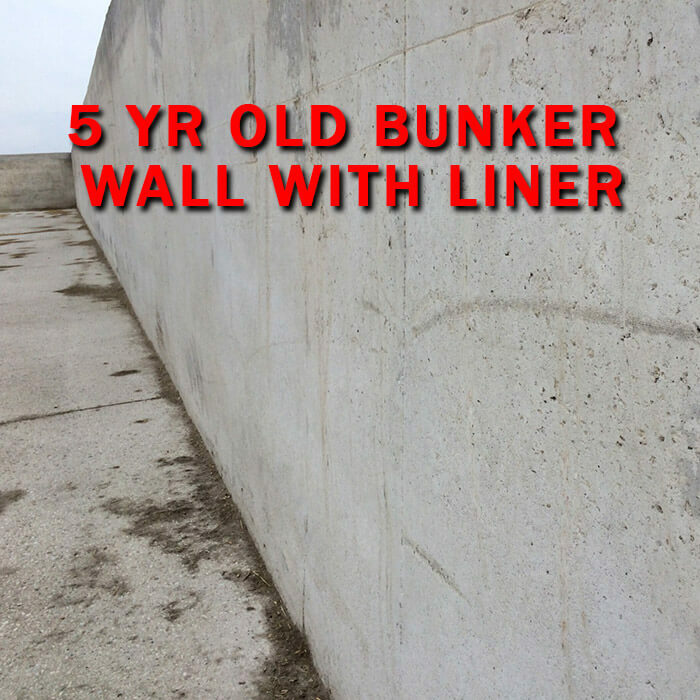 Protect your bunker from damage with our Black Bunker Wall Liner. 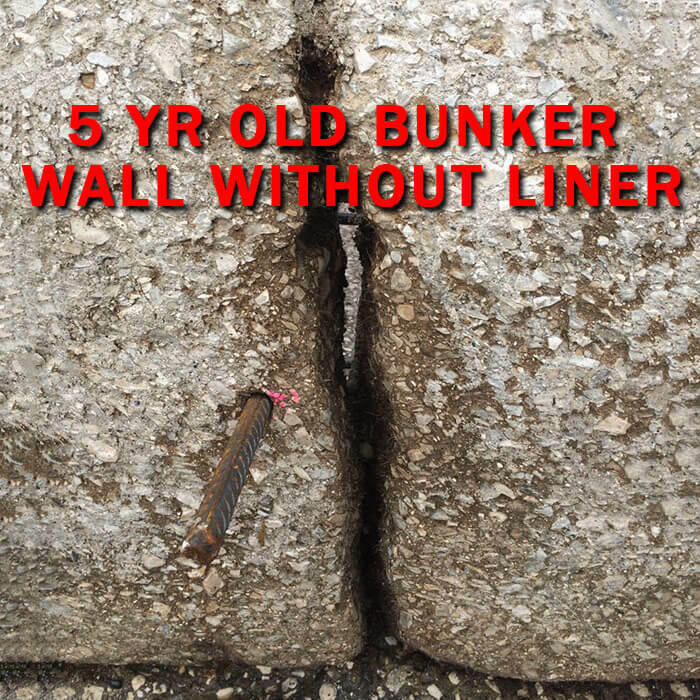 Covering the walls of your bunker silo also prevents air from seeping in through cracks and causing feed spoilage.